Questions and solutions from previous years are available here. The 2018 Blakers Mathematics Competition is now open and will close Friday 31 August. The Blakers Mathematics Competition was established with a bequest from the family of Professor Larry Blakers after his death in 1995. The first Competition was a local event, for UWA students only, in 1996. Since 1997, the Competition has been held annually, open to first to third year students at any Western Australian university. Professor Blakers was a Professor of Mathematics at UWA for 30 years and Head of Department for 29 of them. He played an important role in the foundation of the Australian Mathematical Society, the Australian Association of Mathematical Teachers and the Mathematical Association of Western Australia (MAWA), and was a founder and long term Director of the National Mathematics Summer School for gifted high school students which takes place in Canberra each year. 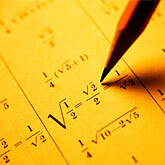 The UWA Department of Mathematics and Statistics offers $300 in prizes. Eligible candidates for the 2018 competition are all undergraduates in first, second and third years at a WA university. Special prizes: Henry Yoo*, 2nd year, UWA (High Distinction); Evan Blandin De Chalain, 1st year, UWA (Distinction); Jesse Schelfout, 1st year, UWA (Distinction); Farruh Mavlonov, 1st year, UWA (Distinction); Shrenik Jobanputra, 1st year, Curtin (Distinction); Alexander Rohl, 1st year, UWA (Distinction); Jet Kye Chong, 2nd year, UWA; Owen Taylor-Williams, 1st year, UWA; Leigh Tyers, 3rd year, UWA; Timothy Gummer, 2nd year, Curtin. Special prizes: Conway Li*, 3rd year, UWA (High Distinction); Samson Ting**, 1st year, UWA (High Distinction); Timothy Gummer, 1st year, Curtin; Jay Mummery, 1st year, UWA; Daniel Smith, 1st year, UWA; Cameron Smith, 3rd year, Curtin; Ruthvik Devarapalli, Year 11, Balcatta HS. Special prizes: Yita Choong, UWA, Aedan Pope, UWA, Robert Palmer, UWA, Jimmi Phangestu, Curtin, Ferris Xu, Curtin.